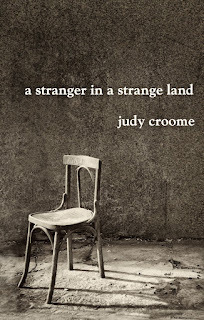 Judy Croome : Reading and Writing...a lot! Did you think I’d forgotten about you? No, I could never forget about you, but sometimes there are other priorities. Take reading, for example. The luxurious days when I could read 10 books a week are long gone, buried beneath the demands of a real life in which I have a paltry 24 hours a day to squeeze in the multitude of tasks required of me. Writing is another priority. I am, after all, supposed to be A Writer. And—heaven forbid!—I don’t want to be a one-book wonder. Stephen King, that master story-teller, that inspiration to all writers, says in his iconic book “On Writing,” that If you want to be a writer you must do two things above all others: read a lot and write a lot. He adds that, as a slow(!) reader he reads about 70 to 80 books a year. These days, that’s a lot of books for me to read. 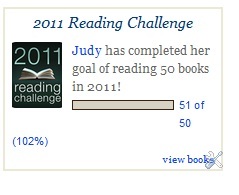 Last year, by participating in the Goodreads 2011 Reading Challenge, I just managed to read 50 books. 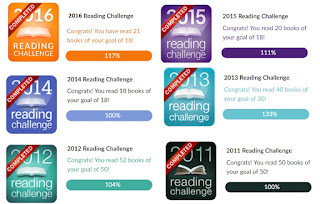 This year my goal is to read another 50 books, including those I need to research for my new novel. That number is still way short of Mr King’s recommendation, but then he has a wife to do for him all the daily household tasks that consume so much of my life. And I still have to leave time for writing. In 2012, I want to write for 365 days without missing a day. Even if I write a simple haiku (my favourite form of verse), my goal is to write every day. Surely, on those exhausting days when the world and its aunt make demands on me, I can at least manage 17 words? Growing out of this goal, I’m hoping to have my second novel finished by the end of 2012. Or, at the very least, I’ll have a collection of 365 short stories and poems that could convert into an anthology. And so, dear blog, (and your cousins Twitter and Facebook), while I’ll pop in for the occasional visit, you may not hear from me as often as you have in the past. I’ll always be back, but only when I’ve finished reading and writing...a lot! Welcome back, Judy, and good luck with all your reslutions! Those are great goals Judy. To be honest I'm lucky if I finish 3 or 4 books a month, some months less some more. Best of luck with your new book. Worthy goals, Judy. Best of luck with them. I don't think I ever read 10 books a week,impressive claim. AHHHH! So that is where you were... I was wondering! Wow you read 50 books? now that is impressive... and you sued to red 10 a week? really? wow! SO you are in the midst of writing a second novel... that is so cool... way to go... good luck with everything and it was so good to see your name pop up on my dashboard. COLD: Reading 50 last year was tough, but I only joined the challenge mid-year, so I had to really push myself. Luckily, I’m a fast reader! DAMARIA: You’re so write about making the distinction between creative and other writing – it’s tempting to count non-fiction writing (like my blog) but creative writing does require a different way of writing. I’m hoping by doing some creative writing every day (no matter how little) eventually my Muse will be well-oiled and I can get some good creative writing in for my new book. Good luck with your fiction writing! LINDA: Thanks – hope your writing is going well in 2012! ANN: Reading 10 books a week was in my school days when I had all afternoon and evening to read. I was the despair of my Mom, because I’d rather read than do homework! Also, I was a very fast reader with a high comprehension of what I read, so I got through a LOT of books! Sigh. I miss those days. Now reading comes last, after the day’s tasks are complete and, instead of reading until 2/3 in the morning, I usually fall asleep over the first page before 10 pm!! LANA: Been thinking of you and wondering how you’re doing. Must spend some time doing some blog visits & catching up with how 2012 is treating everyone! Hi Judy .. good to see you back - was going to email .. but never got there! I used to read loads of books - but comprehending them wasn't an option .. there must be a blank in my head somewhere!! Lucky you .. even now I need pencil and paper around - but I too must read some books this year. Glad you're well and doing what you want to do towards your goals - I'm looking forward to your next book ..
HILARY: I think as we get older and have more responsibilities our reading time is one of the first luxuries to go! Hope you get to read some great books this year and happy blogging!